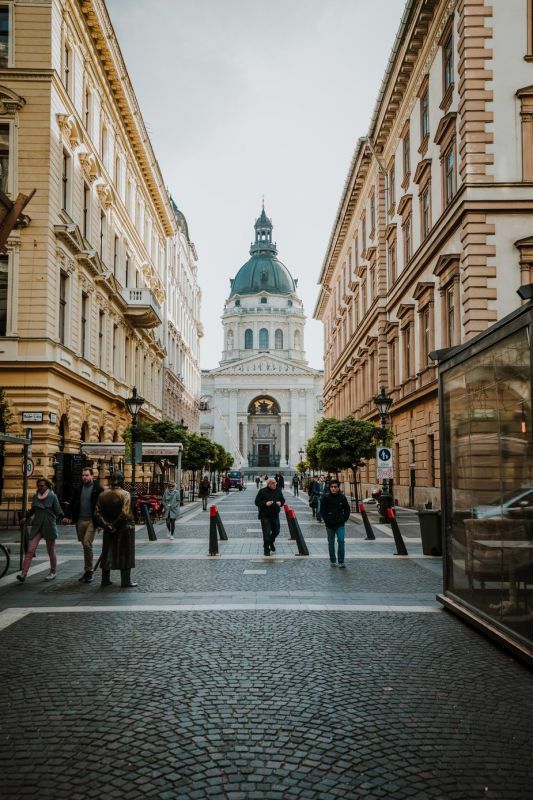 IF YOU COME LOOKING FOR TROUBLE, BUDAPEST IS THE RIGHT PLACE TO BE. AS THE EMERGING PARTY CAPITAL OF EASTERN EUROPE, BUDAPEST IS WHERE ALL THE ACTION’S AT. PUB CRAWLS ARE A GREAT WAY TO MAP OUT A CITY’S NIGHTLIFE, BUT THERE IS A LOT TO DO IN THE CITY OF WOO AND HOO! IF YOU LIKE BEER, YOU WILL LOVE BEER BIKES! BEER BIKING HAS QUICKLY BECOME THE (INTER)NATIONAL PASSTIME OF BUDAPEST. ONCE SPRING SET IN, LOUD, HAPPY CROWDS OF BEER DRINKING PEOPLE FLOOD THE STREETS OF THE CITY ON THEIR SPECIAL, MOVING BAR: THE BEER BIKE. THEY SING, THEY CHEER, THEY DRINK BEER, AND THEY ARE READY TO WELCOME YOU TO THEIR FOLD! PUBLIC DRINKING IS SOMEWHAT ILLEGAL IN BUDAPEST - NOT THAT ANYBODY ENFORCES THIS, MEANING CHANCES ARE THAT YOU WILL NEVER-EVER GET INTO TROUBLE WITH THIS. STILL, IF YOU WANT TO TAKE PART IN THIS NOBLE SPORT WITHOUT ANY RISK, GRAB A FEW CANS OF BEER AND HEAD TO TO ERZSÉBET SQUARE. THE OPEN GREEN AREA IS USUALLY PACKED WITH PEOPLE HAVING A PICNIC AFTER 6 PM! THE BEST PART? THE PARK IS PRIVATELY LAND, SO NO DRINKING RESTRICTIONS! ALL YEAR ROUND THE CITY IS FILLED WITH FESTIVALS! IN THE WINTER THIS MEANS CHRISTMAS MARKETS AND INDOOR CULTURAL FESTIVAL, AS FOR THE REST OF THE YEAR, THERE IS ALWAYS AN OPEN-AIR BEER, WINE, OR MOST IMPORTANTLY, MUSIC FESTIVAL GOING ON! IF YOU LIKE A GREAT EXCUSE TO PARTY CHECK OUT THE LATEST INFO! AND REMEMBER, ONCE YOU RUN OUT OF OPTIONS, THERE IS ALWAYS A PUB CRAWL GOING ON AT 9 PM, ON DEÁK FERENC SQUARE. SIGN UP ONLINE OR JUST SHOW UP FOR SOME FUN!